Employee engagement is about improving the work environment and culture to encourage employees to be more dedicated to company goals and values. Employee engagement is a function of the relationship between an organization and its employees. 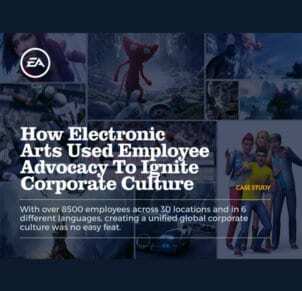 It’s about improving your workplace and culture such that employees feel more connected and dedicated to your company’s goals and values. Many managers would likely tell you that their employees are fully engaged with their company and work, however, unfortunately, that’s not the case: a Gallup-conducted study found that 87% of worldwide employees are not engaged. That is a major problem and many companies are not aware that they have an internal issue. Before we go further, let’s define what an engaged employee is. The “engaged employee” is defined as one who is motivated, enthusiastic, and supportive about their work and takes action to improve the organization’s reputation and interests in a positive and proactive way. 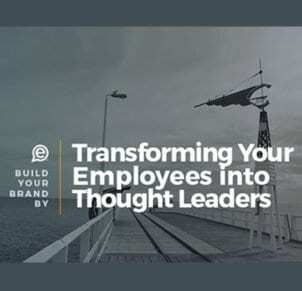 Another finding from that Gallup study: companies that have highly engaged employees and encourage and support employee engagement outperform their peers by up to 147% in earnings per share. How do you get employees more engaged? Now that we have a better picture of what employee engagement is and why it matters to the performance of your business, what tools and tactics can you deploy to increase employee engagement? One of the critical factors in fostering a workplace with high levels of employee engagement is communication, formal and informal. The important thing is that you have tools and services in place that allow people to connect with each other with as little friction as possible, no matter their role or location. If you have more than 50 people in your company, chances are that your people are almost always out of the loop on important news and events. Did you see the CEO’s TV interview? How about that new product that just launched? Are you aware of the new competitor that just popped up? How about that new account you just landed? Invest in keeping your people informed and they’ll feel more invested in your company. As stated in the Nielsen report, people trust the recommendations of their friends and family more than any other type of marketing. Your employees have relationships with a tremendous number of people outside the walls of your company, including with your customers, prospects, partners, and future hires. Let them shout their enthusiasm for your company from the (social media) rooftops. Talking about ye olde carrot and stick. You probably have an idea of the kind of engagement you’re looking to see from your people. Put some gamification and light rewards behind them. Even something as simple as a shout-out from an executive can be more than enough. Rewards can be a powerful driver, just be careful not to overdo it; they’re like salt, you can always add more, but it’s hard to take it away. 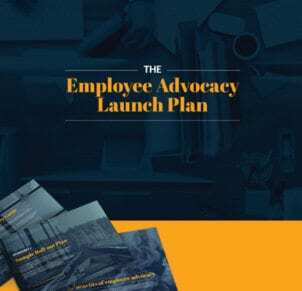 Looking for more information and resources on employee engagement and employee advocacy?